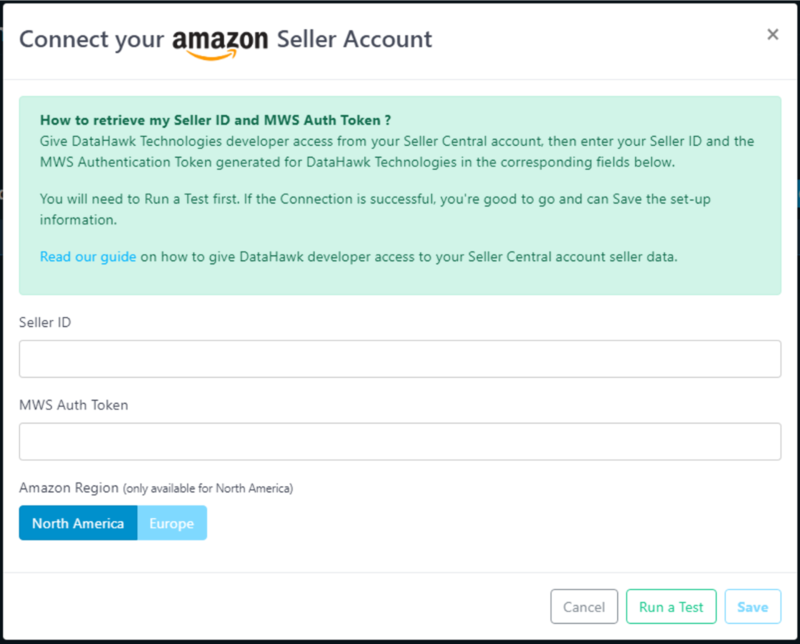 How to connect your Seller Central Account and grant DataHawk MWS developer access for Sales reporting. Read how you can give DataHawk Technologies developer access from your Seller Central account to get Sales reporting on DataHawk. Note: DataHawk supports Sales reporting for the US, Canada, Mexico, France, United Kingdom, Italy, Spain, and Germany. This works for Seller Central users only. If you are an Amazon Seller, you can automatically get a beautiful reporting of your real sales, in a very friendly and intuitive format, right inside of DataHawk, while also allowing you to export the data to Excel. This Reporting will save you hours of tedious work and will allow you to unlock tremendous insights about the correlation between your sales, best seller rank, keyword rankings, product listing, and advertising campaigns, ultimately helping you increase your sales and optimize your performance. 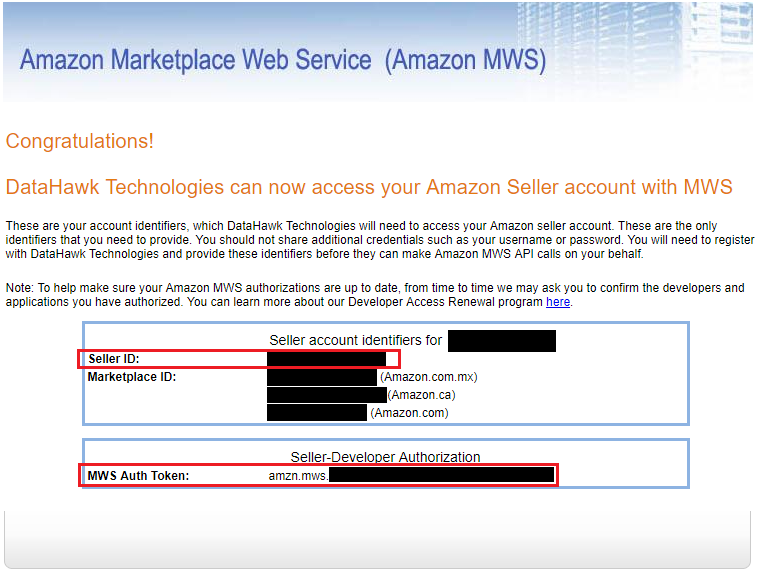 You can authorize DataHawk to pull your seller data on your Seller Central account using Amazon Merchant Web Services, or MWS. 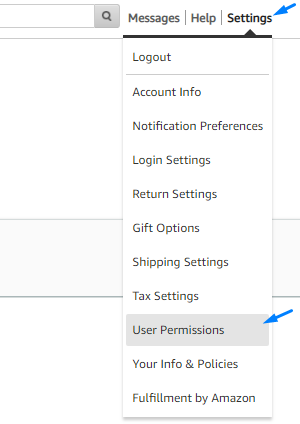 In your Seller Central account, go to "Settings" > "User Permissions" from the upper-right menu. Under the "Third party developer and apps" section, click on "Visit Manage your Apps". Note that if you are not the account holder, you will need to have necessary authorizations to see this section, in which case we would recommend sharing this documentation with the person that holds access. Once you are in the "Manage Your Apps" page, which you could actually have accessed from the "App Store" > "Manage your Apps" top navigation menu if it shows up in your account, click on "Authorize new developer". Again, note that if you are not the account holder, you will need to have necessary authorizations to see this section, in which case we would recommend sharing this documentation with the person that holds access. Tick the checkbox, then click on "Next". 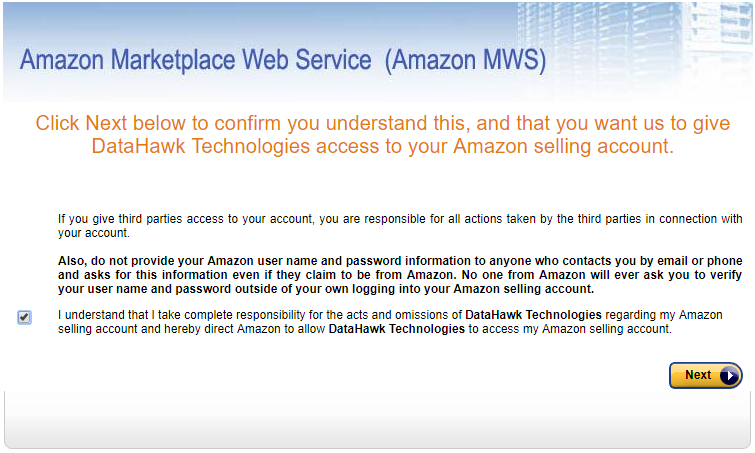 Great, you should now have successfully allowed DataHawk to access your seller data with MWS. You will need to copy some information that you will need to paste on DataHawk. Write down your Seller ID and the MWS Auth Token somewhere, you will need to enter their value on DataHawk for the set up to be completed. Go back to DataHawk to continue the set-up of the connection between DataHawk and your Seller Central account, and paste your Seller ID as well as the MWS Auth Token in the corresponding fields. You will need to Run a Test first. If the Connection is successful, you're good to go and can Save the set-up information. Note that it will take us up to 2 hours to fully synchronize your historical data for the first time. Keep in mind that we update Sales data twice a day.